Daily: Use a cloth or a feather and dust the furniture daily. Do not use any too harsh or there is a risk of damaging the furniture. Weekly: Get into those hard to reach places with a vacuum cleaner. Use the smaller brush attachment to prevent damage. Every fortnight: Make a mild solution with detergent and use only the suds to clean. Just like seagrass furniture, these do not react well to too much moisture. Clean up any spillage immediately. If ignore the furniture can stain and can eventually result in rot. Unless you have outdoor specific wicker, do not expose them to the elements for too long. Increase durability by using an outdoor cover or cushions. Wicker furniture can also become dry and brittle so during dry periods, wash with water or use a humidifier if indoors. 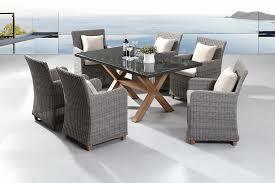 Wicker Paradise is a provider of high quality wicker furniture. You can even find outdoor chair cushions there.